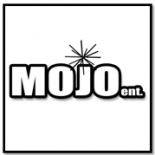 Dinner at the No Gos* | MOJO ENTERTAINMENT, LLC. Marco Orsini, an independent American filmmaker living in Monaco, and Bilal Mekkaoui, a Lebanese investment banker living in London, are considering travel in what are commonly known as “No-Go” countries. Though neither treats lightly the dangers from political instability, crime or contagion, both have suspicions about the ideological calculations behind the designation and concerns about its consequence for residents, visitors and international politics. Dinner in the No-Go’s proposes a series of visits to countries on the list that Marco, an American, is discouraged from entering, followed by a series of visits to destinations where Bilal, an observant Muslim from Lebanon, might hesitate to travel. Dinner in the No-Go’s is public diplomacy conducted on a personal level, with both men eager to engage their in-country hosts and acquaintances on the issues that earn inclusion on the list. Religion, politics, economics, cultural traditions, public perception, local prejudice and comfort food are all “on the table” for discussion.